My campaign is going on at a steady pace. A week before filing my nomination, I traveled in three assembly segments of East Champaran- Narkatia, Raxaul and Sugauli. Meeting after meeting in village after village, men, women and children have responded with warmth and affection. My five years of continuous interaction, through thick and thin, with my people is now overwhelming me with support and hope. Staying overnight in the villages gave us wonderful opportunities to share and to dream. Also to plan a better, prosperous Champaran. The cool evening breeze helps in driving away the day long fatigue of moving under the scorching sun. Moving and interacting with my own people in my own land makes me feel that elections are just a coincidental bridge between us. Since nomination day, I have been getting up very early in Bettiah and setting out for long, long morning walks through the mohallas and hamlets around. People brushing their teeth with datum-twigs- rush forward and join me. Women are increasingly coming out of homes to overtly express their support. Homes welcome me with tea and breakfast but homemakers understand that I have miles to go and don’t insist that I sit down for breakfast. They, instead, join me on my walk through their lanes and by-lanes. Children on way to school wave. The young shake hands. Senior citizens too pat my back with youthful enthusiasm. The support is assuring. The hope high and confidence boosting. It is a developing into a mutually emotional bond. After these long morning walks, I venture out into far flung villages of neighbouring assembly segments. I have so far toured Nautan segment and Maujhaulia block of Bettiah, apart from parts of Chanpatia. Poll Day is still two weeks away. My opponents too, I’m told, are stepping up their campaign. My supporters tell me rumour mongering may be a weapon of my opponents to confuse my mass of support. But I trust my people sense of judgment. Prakash......what a wonderful idea to write your blog and keep us updated with the developments. All of us here in Muscat are wishing and praying that the people of Bettiah do see the light('Prakash') and can differentiate between the doers and the so called ascetics('Sadhus')of this world!!!! 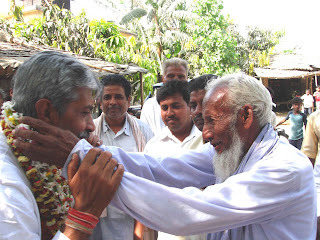 Our very best wishes and if Punarwaas is an example of what you can do, Bettiah will definitely be a better place with you representing them in Parliament. The Bihari Community in New Jersey/New York-USA are with you!!!! You have left a lasting impression during your visit here;We are with you for the development of Bihar. 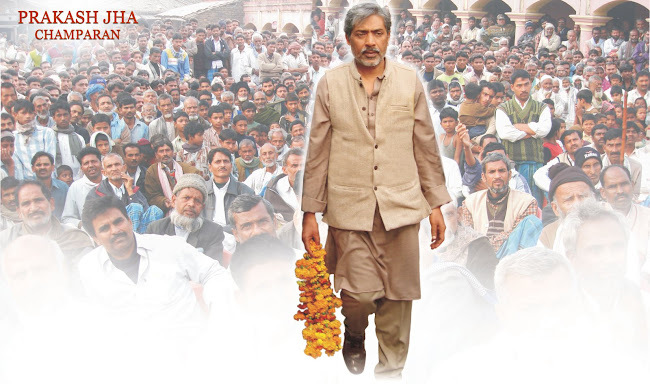 Best of luck during the election and hope to see you as an MP from Bihar!!! Seems this time...no one can stop you. You are with the wave...eagerly waiting for the result...and hoping to see you in information and broadcasting ministry. 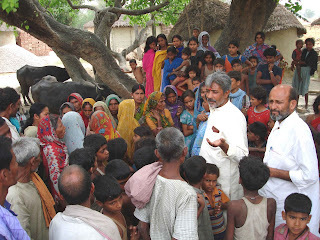 prakash ji,nice to see the public support to your compaign.it will not only give you mandade of bettih but also pave the way of devlopment that gandhiji thuoght of.